All I ever wanted to hear today….. 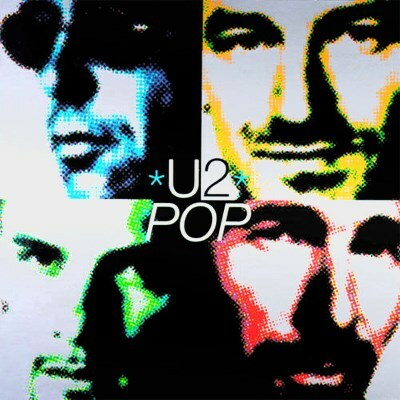 I have posted many, many times about U2 in the over 6 years that this blog has been running. I know all the flaws in U2 (heck, I wrote an MA thesis on them) but I also know how they spoke to me from the very first time I heard them 33 years ago. In the 90s, when I went through one of my many periods of questioning, and kind souls recommended Christian songs in the key of G, they released ‘Pop’: an album of profound questioning and doubt. I knew I was not alone. I knew there was another way apart from singing happy songs and pretending. I will always be grateful for that. I just took delivery of the enhanced version of the new album (2CD) and am slowly learning it and finding it’s hidden depths. I know that you can critique U2 on so many grounds; their sound, many people find Bono annoying, their tax afffairs, the view that they seem to be a corporate behemoth etc. I know that and yet I like them. I have listened to the new album many times and it is growing on me. It seems a richer, more varied album than the last one and I get excited at the prospect of listening to it once more and lose myself in its music. That, in itself is why I love music so much. But there is more. I am ‘blind’ when it comes to U2. I got the ecstasy from when I bought ‘War’ in 1983 and the rest of the albums of that era. Then when they got to their ‘interesting’ period in the 90s: experimenting with sound, simulacra and lament/questioning, I was hooked. Their journey mirrored my own: no one else from a faith based perspective seemed to be asking questions and voicing doubts. Then in the 2000’s I wrote an MA thesis called ‘Looking for Baby Jesus under the trash’. I do not claim that it was well written: it wasn’t, but it more than scraped through. More than that, it was a labour of love. So I am listening to the new album and the new Leonard Cohen album is in my ‘to be listened to’ pile. I find the quirky juxtaposition of these two mercurial talents utterly beguiling (and I don’t think I have ever had the nerve to write such a sentence before). Good Friday destroys practically all the definitions of God that circulate in popular culture. It is a day that draws me to my knees. I still get moved by the idea that at the time Jesus was the closest to God’s purposes he wasn’t making warm sippy noises and going ‘Bring it on God/I just feel so peaceful/you are so good to me/please bless me and mine’ but screaming ‘My God, my God, why have you forsaken me?’. I can believe in a Jesus like that. Regular readers of this blog (which is an awfully vain statement) will know that one of the things that ‘saved’ me from bailing out of Christianity in the 90s was the music of U2. Someone was producing music which loved God, but doubted and screamed at Him. It knocked against the blandness and anodyne nature of much ‘Christian music’ . I have used it in a worship service before, but with ‘that’ word edited out. I could write about new year resolutions, I suppose; but I have largely stopped making them. I once knew a married couple who did: sat down, worked through intentions, desires, aims and objectives etc. Most days I have only the vaguest idea of what I am doing by 11am, let alone setting goals for a whole year. Every day, in the Methodist Service Book order for daily prayer (which is the kind of sentence, once uttered, that can silence most conversations at parties: I challenge you to try it) there is a line which goes: ‘We pray for all who make a new beginning today.’ I can live with that: each day someone, somewhere takes a step that will have major consequences for them and their world. Sometimes that will be thought out, longed for, other times it is dreaded, just happens or is almost tumbled into. I like it to that I am asked to think and focus on others & not ‘Consumerworld’ where it is all about me and my precious family & what we can achieve. So I will try and say this today: ‘We pray for all who make a new beginning today.’ Oh and this….